Volkswagen has formed a quality reputation over the years, and they continue to uphold it with the releases of their new, 2015 models. 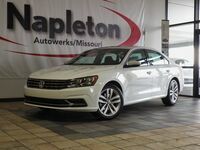 A fine example of Volkswagen’s commitment to excellence is the 2015 Volkswagen Passat in Springfield MO. With an ample amount of features, both standard and addable, the new Passat gives drivers the opportunity to choose options that suit their life and style. As one of the most efficient vehicles in the 2015 Volkswagen line-up, drivers who choose to challenge the new sedan should not be disappointed by the miles they can go without filling up. As a mid-size sedan, the 2015 Volkswagen Passat is ideal for mid-size families. Drivers in search of a family car will most likely be after something that has superb safety ratings. The National Highway Traffic Safety Administration gave the new Passat a 5-star safety rating, which is ideal if safety is the number one priority. Of course, there are plenty of fun features included in the 2015 Passat’s makeup. 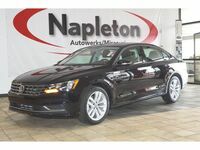 With a 6-speaker audio system and ample ways to plug in your favorite tunes, this sedan is jam-session friendly. 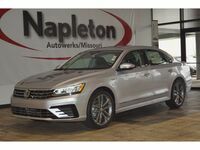 In addition to the audio system, the 2015 Passat boasts a large cargo space that offers about 16 cubic feet of space (more than certain SUVs when all their seats are in place). As the auto industry continues to evolve, fuel efficiency is becoming a must-have among buyers. Because Volkswagen is committed to providing what their customers want and need, their 2015 line-up allows for drivers to go for miles without refueling. The 2015 Volkswagen Passat offers drivers an 18-gallon fuel tank, which is quite sizeable for a mid-size sedan. The new sedan pumps out anywhere between 30 miles per gallon in the city and 44 on the highway, depending on which engine is chosen, meaning that you’ll be getting a lot more miles for your money.